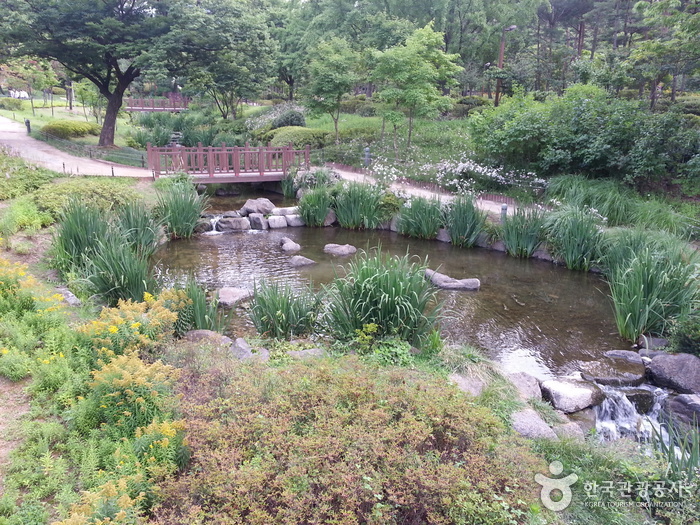 Jangchungdan Park is located at the north-eastern foot of Namsan Mountain. On August 20th, 1895, Empress Myeongseong was killed by Japanese soldiers in Gyeongbok Palace and many Korean soldiers such as Gyeongjik (I) and Hong Gyehun died while trying to hold back the intruders. In memory of these soldiers, Emperor Gojong built the Jangchungdan Shrine in November 1900 at the current site of the Shilla Hotel guesthouse. 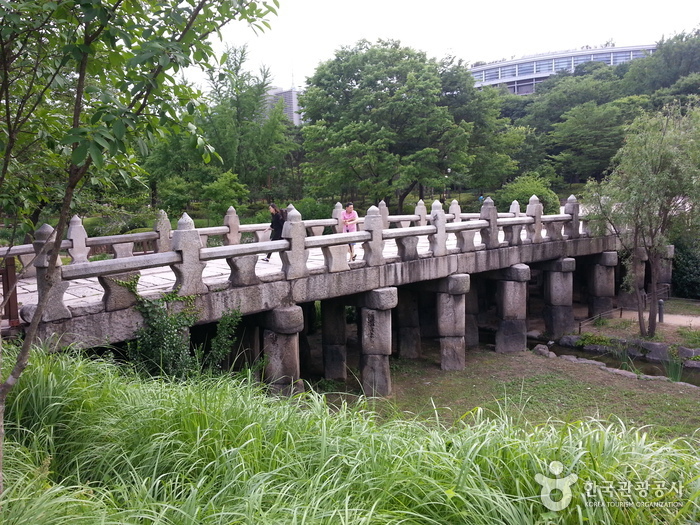 The shrine was lost during the Korean War and the area was renovated into a park in 1919. 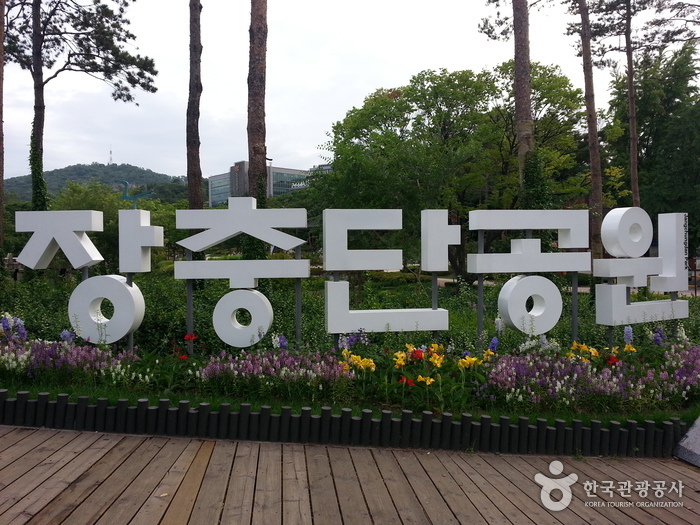 On September 22, 1984, Jangchungdan Park was designated the 374th neighborhood park of Korea and part of the park was merged with Namsan Park. The remaining area retained the name “Jangchungdan Park” and is still home to cultural assets such as the Jangchungdan Memorial Stone, Supyogyo, Seungjeongjeon, Gwanseongmyo, and Waryongmyo. The park is considered a landmark of patriotism since it contains the 1919 Independence Movement of Korea Memorial Stone and other monuments dedicated to people such as Han Yongun, Yu Gwansun, and Gim Yonghwan who fought for the independence of Korea.